Li’lMin: Children ages Infant – Preschool are invited to join us in our newly renovated Nursery (building just East of the Sanctuary) during our 9 a.m. and 11 a.m. services, as well as during the Sunday School hour. Our amazing Nursery Ministers provide a safe and loving environment that is age-appropriate and fun for our little friends! During the Sunday School hour, a Bible lesson is shared along with snack. Please let our Nursery Staff know if your child has an allergy. 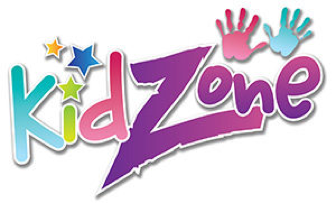 KidZone: Every Sunday morning at 9 a.m. & 11 a.m., K-5th Kids enjoy their very own age – appropriate service, with music and messages geared just for them, in our newly renovated KidMin building (building closest to Lafayette Street). K – 5th grade students are brought into the main service for communion with their families on Communion Sundays. Kids Connect: Sundays at 10:15 a.m., students in K – 5th grades have a special time of connection, just for them! We gather in the KidMin building for learning, creating, fellowship and fun. A breakfast – type snack is provided. Kid’s Club: Active Games, Relevant Devotions, food and lots of other fun stuff! Join us on Wednesday in the KidMin building from 6:00-7:30p. Parents are welcome to stay and fellowship but it’s not mandatory. Open to Kids in VPK through 5th Grade.